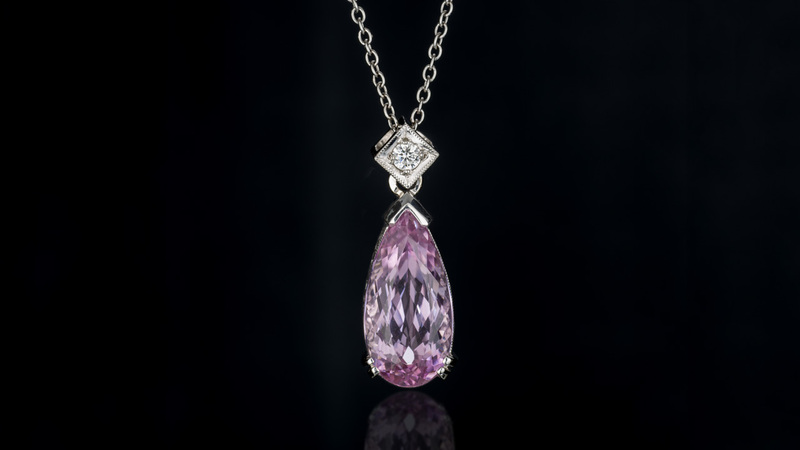 A lack of recognition among consumers affects kunzite’s value. Its prices are not as high as you might expect, given its rarity and attractiveness. 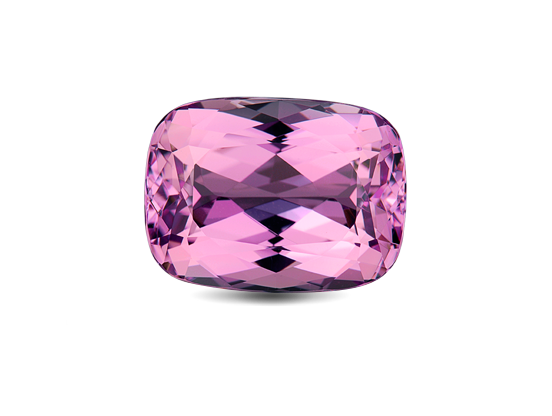 Kunzite’s most-valued colors are an intense pink to violetish purple, but it is most often seen in light pink to light violet hues. 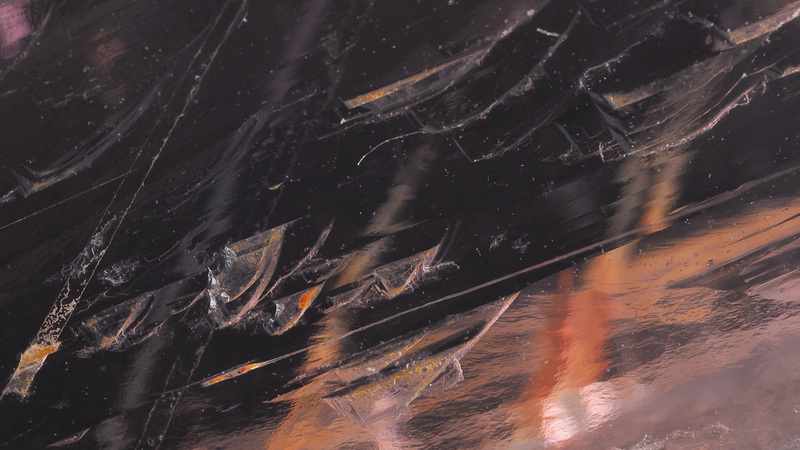 It is not uncommon to find kunzites that are virtually inclusion-free, so the presence of many eye-visible inclusions will greatly lower its value. 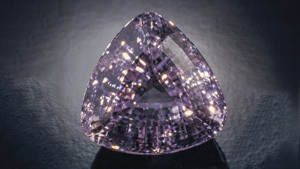 Kunzite’s greatest color concentration is visible when you look down the length of a rough crystal. Cutters try to orient finished gems to take advantage of this fact. 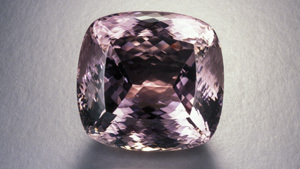 It is not unusual to find faceted kunzite in large sizes. GIA doesn’t grade kunzite. 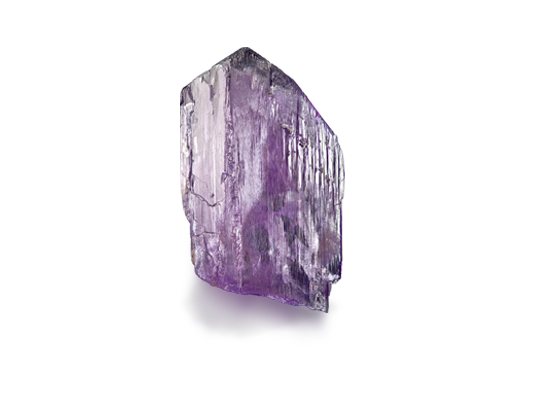 GIA Gemological Identification Reports identify and assess the characteristics (weight, measurements, shape, cutting style, and color) of mounted or loose kunzite and indicate any detectable treatments. The color of a kunzite is more important than where it was mined. 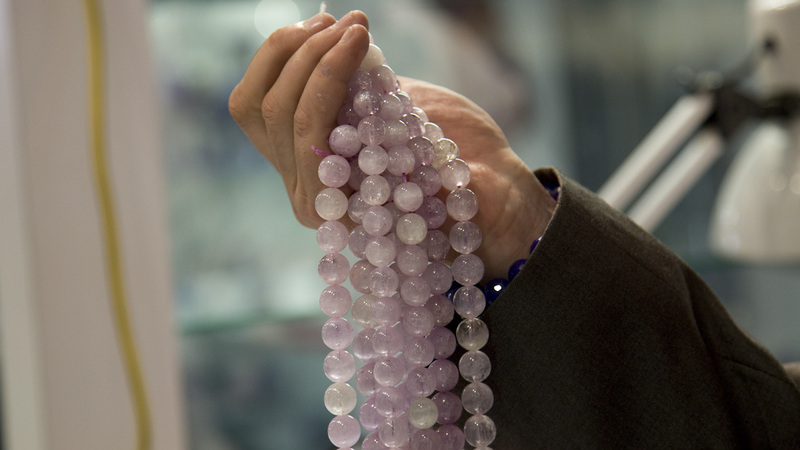 Buy the most vividly colored kunzite you can find. 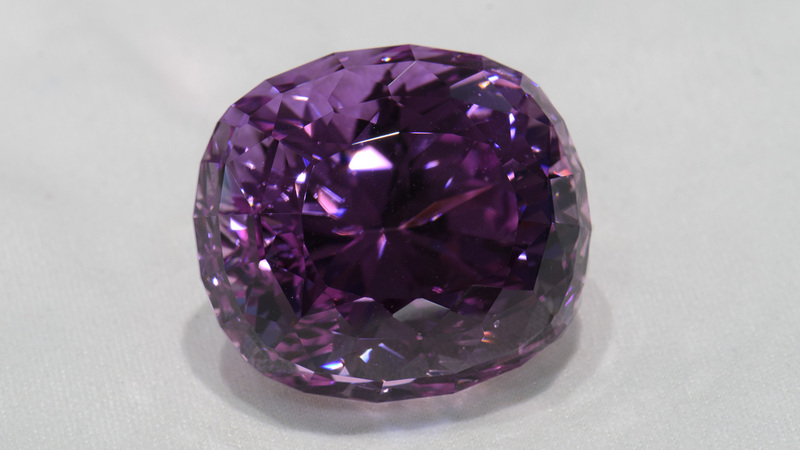 Many companies create their own quality descriptions for colored stones. 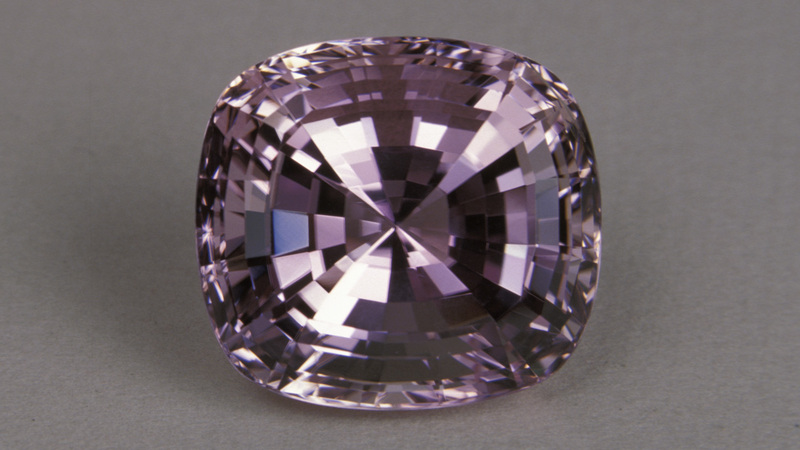 AAA, AA, or A might denote a range of quality for their goods, but there is no single standard quality-grading scale for kunzite. 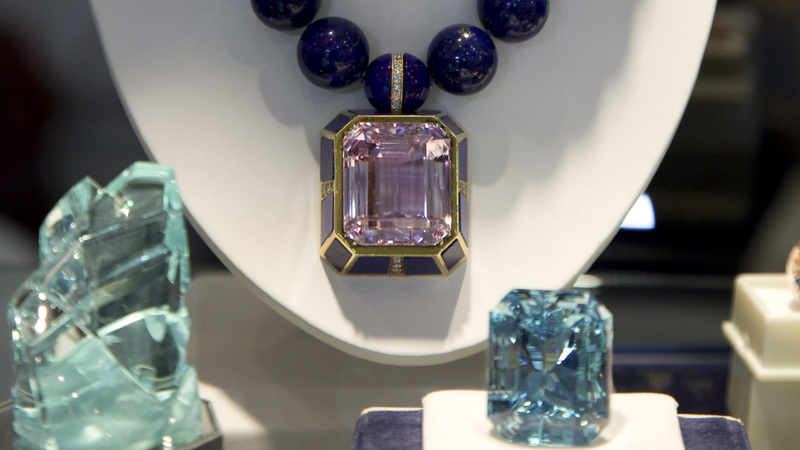 Keep your kunzite beautiful by following simple care and cleaning guidelines. 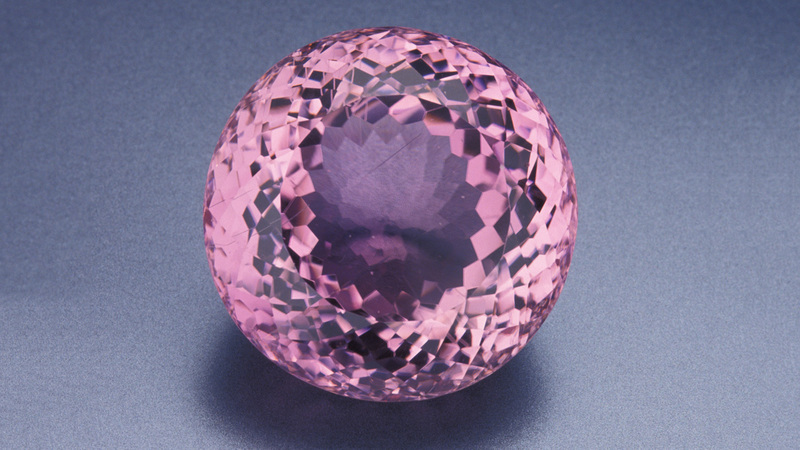 Kunzite can break under pressure or sharp temperature changes, or fade under heat and bright light. 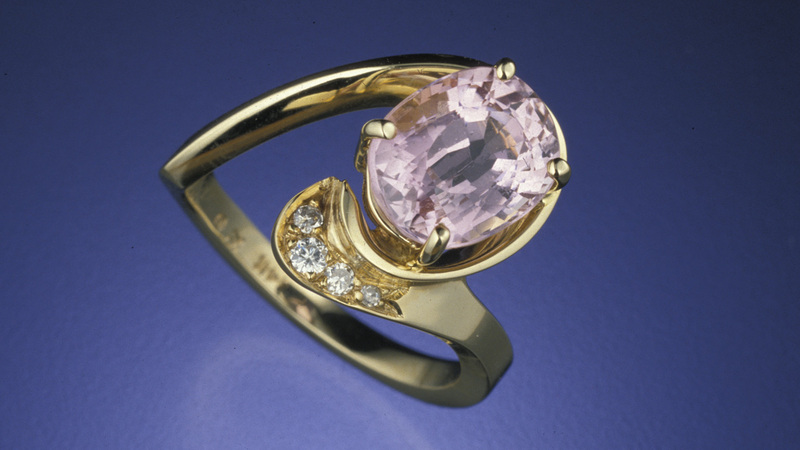 Warm, soapy water is safe to use when cleaning kunzite jewelry. 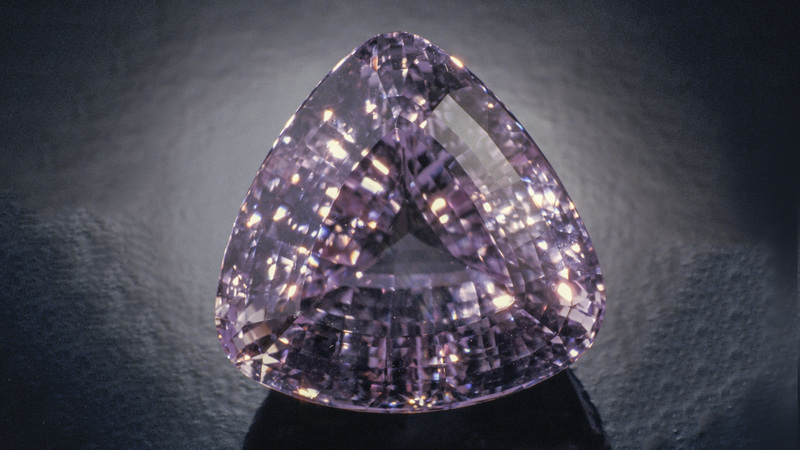 Kunzite can be irradiated and then heated to enhance its color, but treated color can fade.